The Final event for the Year 11 Unit 4 assessment took place in the Forum after school yesterday. 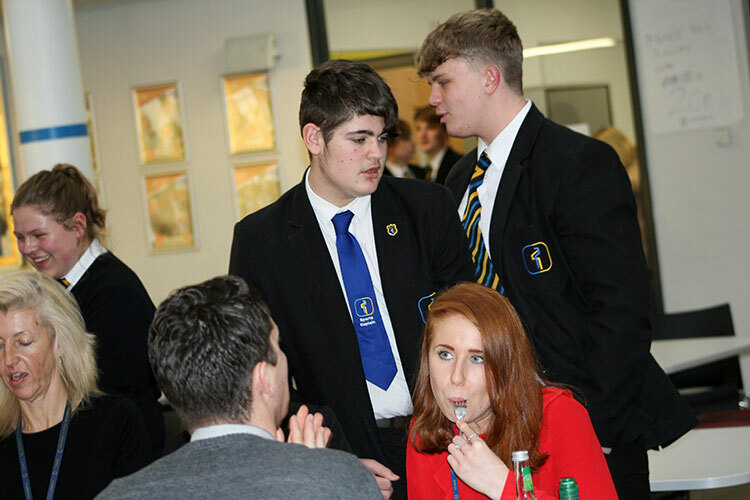 Pupils from 11CFO1, 11CFO2 & 11DFO1 planned and prepared a 2 course celebration meal for staff. 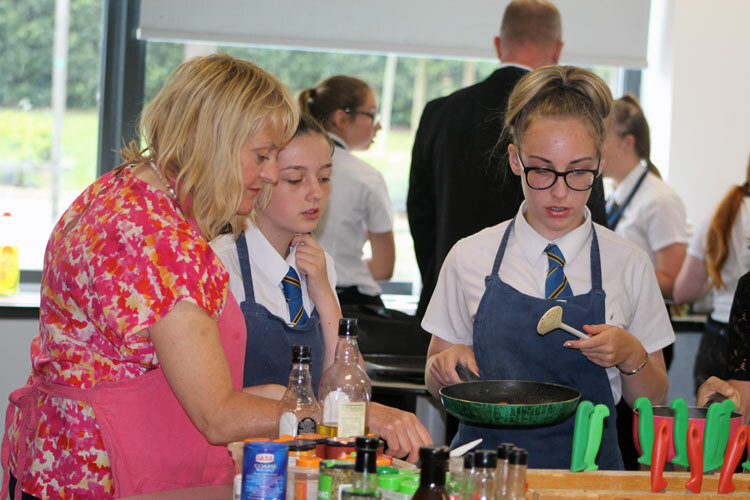 The pupils had 2 hours to prepare and present the 2 dishes. They worked really hard and produced some delicious dishes. The staff who attended enjoyed their meals and commented on the high standard of skills and presentation. 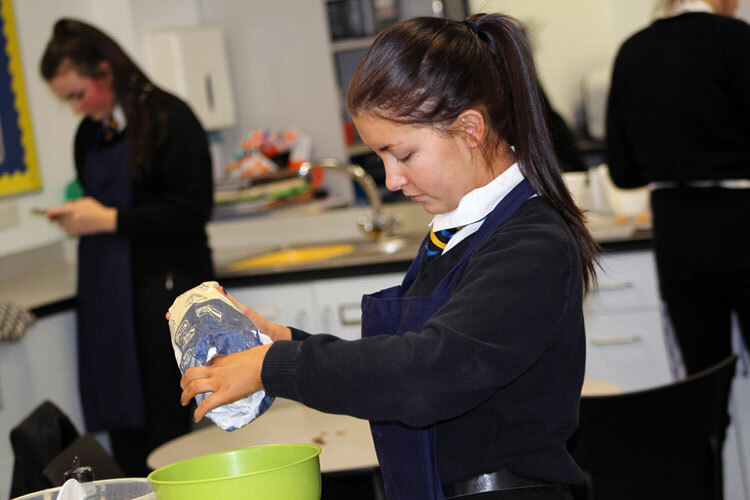 As part of the NCFE Food and Cookery course pupils are required to plan and prepare a meal to a set brief. 11F01 planned, prepared and cooked a two course celebration meal. The meal was served in the Forum yesterday afternoon and was very well received by all staff who attended. All pupils worked brilliantly! They produced a range of outstanding dishes. Staff commented on the quality of the presentation and the range of skills demonstrated. 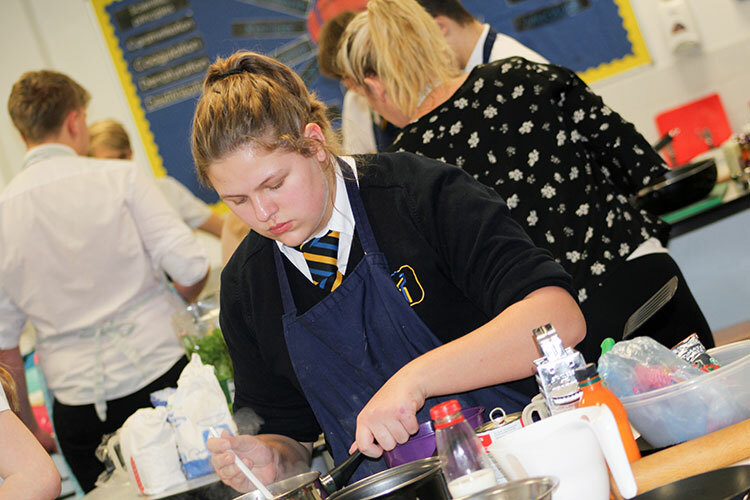 As part of the NCFE Food and cookery course, unit 4, year 11 pupils are required to plan and prepare a meal to a set brief. 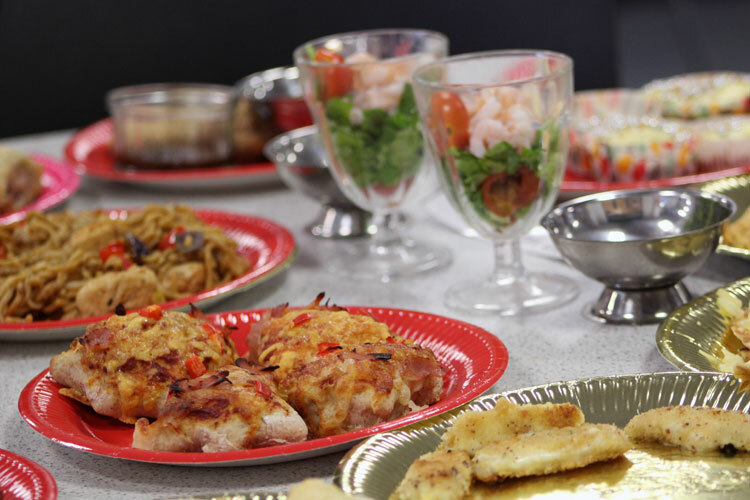 The first assessment brief was to prepare at least 2 dishes for a children's (age 4-5) party. 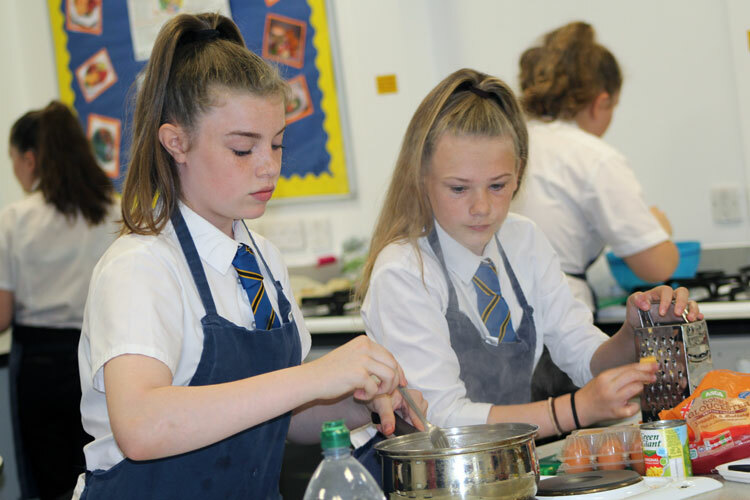 30 pupils from Biggin Hill Primary Academy Foundation stage 2 class visited the Academy to enjoy a mini Christmas party with dancing, games and party food.As part of the NCFE Food and cookery course, unit 4, year 11 pupils are required to plan and prepare a meal to a set brief. The first assessment brief was to prepare at least 2 dishes for a children's (age 4-5) party. 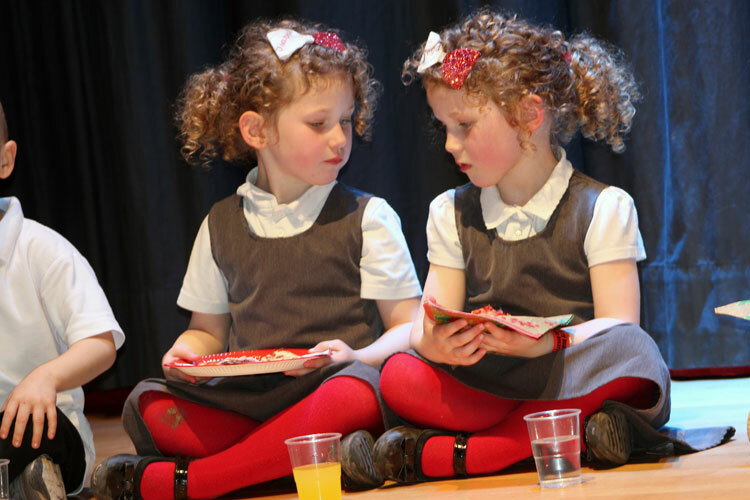 30 pupils from Biggin Hill Primary academy Foundation stage 2 class visited the Academy to enjoy a mini Christmas party with dancing, games and party food. Excellent achievement by these pupils who made it through to the Aunt Bessie Challenge. They achieved this by developing creative potato based dishes that included vegetables, could be made in an hour and filled a gap in the market. They produced a wide range of excellent dishes that looked appetising, interesting and innovative. Some examples as follows, Hasselback potatoes, Sweet potato topped cottage pie, Potato cakes with chorizo and vegetables. Spiced potato cakes, encased in Puff pastry. Teachers judged the dishes and the winners were as follows. Everyone commented that all of the dishes looked amazing and that the standard was incredibly high. Well done to all pupils who took part.